Optical fibers are used in the reliable transmission of data in railway transportation, aviation, and shipping traffic. 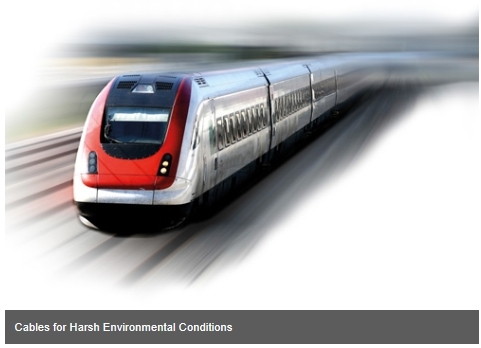 The environmental conditions to which these fibers are exposed are often very harsh; therefore, these optical cables have very specific configuration requirements. High temperature and moisture stability as well as a good chemical resistance are the special features of OFS fitel’s LSZH HCS® cables. They are also crimp & cleave compatible with ST, SMA, and F07 connectors. These cables are available with fiber core diameters of 50 µm, 62.5 µm, and 200 µm. These cables meet all current quality requirements. They are certified according to UL-1666 standards and fulfill IEC and RoHS criteria. Critical materials such as PVC, Bisphenol A, and antimony trioxide are not used here. Use a cable that is approved for use everywhere in your application.